Rabat - King Mohammed VI delivered, on Thursday, a speech to the Nation on the occasion of the 39th anniversary of the Glorious Green March. 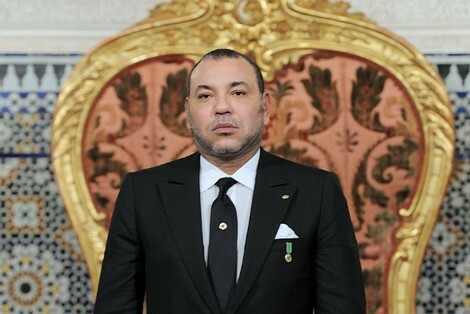 Rabat – King Mohammed VI delivered, on Thursday, a speech to the Nation on the occasion of the 39th anniversary of the Glorious Green March. Today, we are proudly celebrating the thirty-ninth anniversary of the Green March. This is an opportunity to take stock not only of the development achieved in our southern provinces, but also of the malfunctions noted and the internal and external challenges facing those provinces. Since these regions, which are so dear to us, were recovered, much has been accomplished there in various fields. However, the major projects we will be launching during the coming year – God willing – will be crucial to the region’s future. The reference here is to the actual implementation of advanced regionalization and of the development model for the southern provinces. The type of regionalization system I am looking forward to does not merely consist in legal texts and the transfer of powers and human and material resources from central government to the regions, but rather one that is grounded on true patriotism and on the nation’s territorial integrity. We want integrated, solidarity-based entities and regions which care about each other. From this standpoint, academic research on the components of our identity is useful for consolidating our national unity. However, any debate which is based on intolerance and which tends to sow the seeds of disunity cannot be useful or helpful in any way. Whoever claims that he or she is not the product of this national mix is simply mistaken. And no one in their right mind would try to prove the opposite. Hence, the type of regionalization I wish to see achieved is based on this richness and on this human and natural diversity. It consolidates this intermingling, solidarity and complementarity between the sons and daughters of one and the same nation as well as between all its regions. 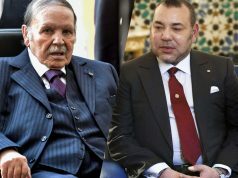 Having a unified, region-based Morocco does not mean there is tribal fanaticism; nor will this be conducive to disunity or separatism, for this is forbidden under the Kingdom’s former Constitution as well as the present one. Forty years of sacrifice have gone by during which our aim was to recover the land, free the people, make sure our fellow citizens in the Sahara enjoy a dignified life, win their hearts and consolidate their bonds with the homeland. We respectfully remember those who gave their lives to defend the Sahara. In every part of the country, there are mothers and fathers who lost sons for the sake of the Sahara. There are widows who have to shoulder the burdens of life on their own; there are orphans who – for the sake of the Sahara – never knew a father’s affectionate love. There are young people who have been deprived of their freedom, and who have lived for many years as prisoners, for the sake of the Sahara. Therefore, the Sahara is not an issue for Saharan people only. The Sahara is the cause of all Moroccans. As I said in an earlier speech: the Sahara is a crucial, existential issue, not just a question about borders. Morocco will remain in its Sahara, and the Sahara will remain part of Morocco, until the end of time. 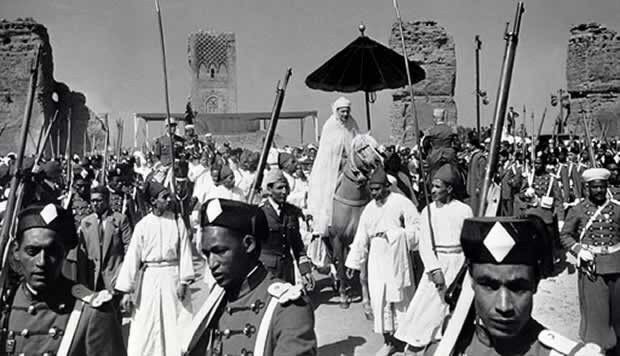 In addition to the lives given for the Sahara, Moroccans have made other forms of sacrifice – moral and material – for the development of the southern provinces, sharing whatever they had with their brothers and sisters in the south. Since we recovered the Sahara, for every single dirham of revenue from the Sahara, the state invests 7 dirhams there, as part of the solidarity between the regions and between the sons and daughters of the nation. As for human development indicators in the region in 1975, they were 6% lower than in northern Morocco, and 51% lower than in Spain. Today, those indicators are much higher in the southern provinces than the national average. Therefore, let me say this, loud and clear: stop spreading false allegations that Morocco is exploiting the region’s wealth! It is a fact that what is produced in the Sahara is not even enough to meet the basic needs of its population. Let me say this, in all sincerity: Moroccans have borne the cost of developing the southern provinces. They have paid out of their own pockets and given from the earnings intended for their children so that their brothers in the south may lead a dignified life as humans. Everyone knows that Morocco is keen to ensure that the region’s population benefits from the local wealth, in an environment where equal opportunity and social justice prevail. It is true that the governance system in the Sahara was marked by certain malfunctions which, over the years, led to a rentier economy and to undeserved privileges. This has given rise to resentment and to a growing sense of injustice and exclusion among some segments of the population. I know only too well that there are people who serve the nation sincerely and with dedication, and there are others who use the nation to serve their own interests. For these people, extortion has become a deep-rooted doctrine; they have turned rent-seeking and privileges into an indisputable right and have abused the national cause to serve their own interests. I am also aware that there are people who want it both ways: they side with the homeland if they reap benefits, and with its enemy if they don’t. I say: That is enough of this rentier policy and privileges! Stop earning a livelihood at the expense of the homeland! But this should not be blown out of proportion. These opportunists are only a small minority. There is no place for them among Moroccans and they will have no influence on the Sahrawis’ commitment to their homeland. Therefore, to be fair to all our fellow citizens in the Sahara and to the silent majority which believes in the nation’s unity, let us radically reconsider the governance system in our southern provinces. My decision to implement advanced regionalization as well as the development model in the southern provinces is part of that endeavor. Our goal is to break with the previous system of governance and to enable the inhabitants of the region to participate in the management of their local affairs in a transparent, responsible way, making sure equal opportunity is guaranteed. To this end, I call for an open, candid national dialogue and for debate on different ideas and visions in a dedicated, responsible manner in order to come up with clear answers to all the issues and concerns that are on the local population’s mind, making sure this is within the framework of the country’s national unity and territorial integrity. I also call on the private sector to be more actively engaged in the development of the southern provinces. I am just as determined to guarantee citizens a dignified life as I am to ensure their safety as well as public security under the rule of law. Therefore, Morocco rejects all practices designed to undermine its security and stability. It will stand up to them in a firm, responsible manner, in keeping with the law and under the authority of the judiciary. Since when have the intimidation of people and the destruction of their hard-earned property become a human right? Since when have the disruption of public security and the demolition of public property become part of the exercise of one’s rights and freedoms? In the speech I delivered in 2009 on the occasion of the anniversary of the Green March, I expressed my outright rejection of these practices and pointed out that “One is either a patriot, or a traitor. There is no halfway house”. Nor are there any degrees in patriotism and treason. One is either a patriot or a traitor. It is true that the homeland is most forgiving and magnanimous. And it will remain so. But only once, and only for those who repent and come to their senses. As for those who persevere in committing treason, they must bear in mind that all national and international laws regard conspiring with the enemy as high treason. I realize that a person can make mistakes, but treason can simply not be forgiven. Morocco will never become a plant for manufacturing “treason martyrs”. The real martyrs are those who made the ultimate sacrifice for the sake of the freedom and independence of their country – those who were martyred defending the nation’s sovereignty and unity. I say: That is enough of these outbidding tactics with regard to Morocco! Stop exploiting the rights and freedoms offered by the homeland to conspire against it! The international community acknowledges that Morocco has committed, credible mechanisms and institutions that can deal with human rights issues. Moreover, Morocco is the only country in the region which cooperates with the Special Procedures of the United Nations Human Rights Council. 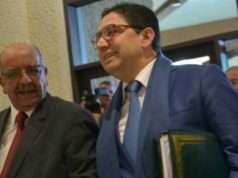 Morocco is also willing to be more open to all international human rights bodies and organizations which abide by the principles of neutrality and objectivity in dealing with Moroccan issues. 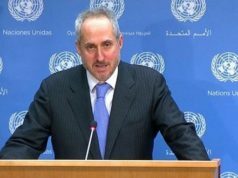 My country rejects the policy of belittling its initiatives and of amplifying events occurring in the southern provinces, while saying nothing and acting in collusion with regards to events in Tindouf and the neighboring countries. When Morocco opened the door to negotiations with a view to reaching a lasting solution to the artificial dispute over the Sahara, the issue was not – and never will be – our country’s sovereignty and territorial integrity. In the past, when I was Crown Prince, I negotiated with some Moroccans from Tindouf. I have no problem with that since I was negotiating with Moroccan nationals, and I was defending Moroccan rights. Morocco has no complex about taking part in direct negotiations, or negotiations through UN mediation with any party. It must be emphasized, however, that Morocco’s sovereignty over its entire territory is effective, inalienable and non-negotiable. The fact that Morocco chose to cooperate in good faith with all parties should not be interpreted as a sign of weakness; nor should it be used as a means to ask for more concessions. The autonomy initiative is the maximum Morocco can offer in terms of negotiation to achieve a final solution to this regional conflict. 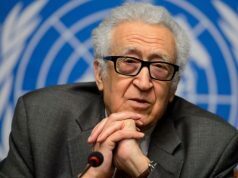 As the guarantor of the country’s independence and territorial integrity, I am duty-bound to see to it that the concepts and responsibilities when dealing with the United Nations are clearly defined, and to reject, on behalf of Morocco, the fallacies and deviations noted in dealing with this issue. • ‘No’ to the attempt to place a separatist movement on the same footing as a United Nations Member State; ‘No’ to giving legitimacy to the lawlessness prevailing in Tindouf. The sovereignty of Morocco cannot be hostage to the ideological ideas and stereotypical approaches of some international officials. Any deviations or fallacies in this regard can seriously undermine the United Nations’ action in this case. Conversely, Morocco is ready to cooperate with all parties to reach a solution that respects its sovereignty, that is face-saving for everyone and that contributes to consolidating security and stability in the region and to the achievement of Maghreb integration. I wish to express my appreciation to the Secretary-General of the United Nations Organization and to the major international powers – especially the United States of America and the White House in particular – for making a positive contribution at various stages to finding a solution to this issue. While valuing their support for Morocco’s efforts and for the negotiating process on the basis of the autonomy initiative, I am calling, today, for a clear position concerning this conflict. 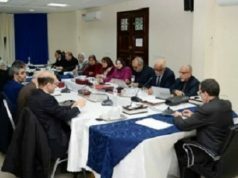 At a time when they reaffirm that Morocco is a model for democratic development, an influential state in ensuring security and stability in the region and a partner in the fight against terrorism, there is some ambiguity in the way they deal with the question of its territorial integrity. Unless Algeria – the main party in this conflict – is held accountable, there will be no solution. Moreover, without a responsible approach to the tense security situation in the region, there will be no stability. This is not intended to offend Algeria, its leadership or the Algerian people, whom we deeply respect. My words are carefully measured and unambiguous. I am talking about facts and a reality everyone knows about. Whenever Moroccans talk about that reality, the Moroccan government, political parties and the press are accused of attacking Algeria. Morocco has neither oil nor gas, whereas the other party has the ‘greenback’ which it believes can open the way for it to challenge legitimacy and what is right. What we have are our principles and the justness of our cause. In fact, we have more than that: the love of Moroccans for their homeland and their attachment to it. Whoever thinks that the Sahara issue will be addressed through fabricated technical reports or vague recommendations that seek to reconcile the demands of all parties is wrong. Those who try to compare the Sahara to Timor-Leste or some territorial disputes in Eastern Europe are just as wrong. Each issue has its own specific features and conditions. The bonds between the Saharan populations and Morocco are far from being recent. In fact, they are rooted in history. Just as we believe in the justness of our cause, we also believe that what is right and legitimate will prevail over any separatist tendencies. We look forward, with hope and optimism, to the reunification of the sons of the Sahara in their homeland. I am confident they will be actively engaged in major new initiatives to promote development and offer a free, dignified life to all citizens, wherever they may be. This would be the best token of loyalty to the architect of the Green March, my revered father His Majesty King Hassan II – may he rest in peace – and to all our honorable martyrs. I would like to pay tribute to all branches of our armed and security forces for being constantly mobilized to defend the security, stability and territorial integrity of our country.